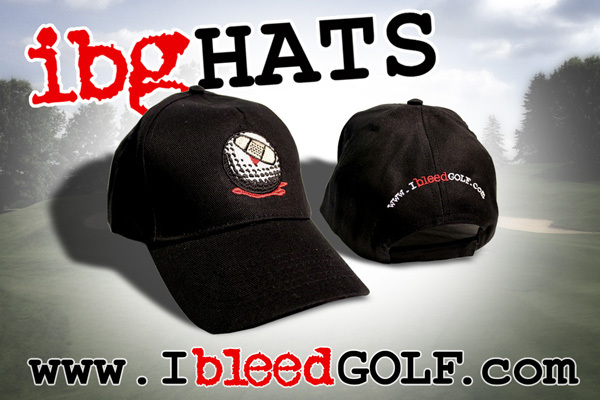 I first heard about Steve’s I Bleed Golf website (or IBG as it is often now referred to) last year – via Twitter. At the start it was a personal golf adventure but the site rapidly gained momentum in the latter half of 2012. I asked him about IBG’s evolution. What made you change it from a personal site into the site it is today? “I soon found out that there were many other golf nuts out there who felt the same as me. I think people could relate to the ‘brand’ and the philosophy, and that IBG was a place where they could meet like-minded golf nuts. We amateurs all go through the same highs and lows on and off the course, and it’s important to take a moment to laugh at ourselves and each other. www.ibleedgolf.com is a variety of interesting and entertaining golf stuff. And when I say stuff, I mean the normal things that amateur golfers obsess about, from putting woes to the price of green fees to how to tackle difficult shots, as well as fun stuff that eludes Pro Tour websites and pokes fun at the average amateur. 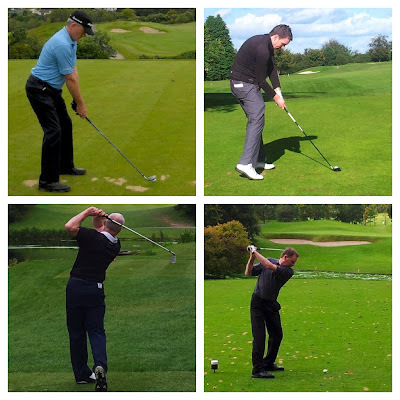 IBG actively encourages contributions from its readers (I’ve contributed twice) as Steve believes there are many great writers out there who are interested in documenting their golf ‘conquests and conflicts’ and plenty more who want to read them and empathise. Where did the name I Bleed Golf come from? We all know there are hundreds of golf sites out there, from small, niche affairs (such as mine), to all-encompassing global behemoths (such as golf.com). In the midst of this, IBG has been a breath of fresh air and Steve hopes to expand it further. “To date we’ve been running on a very small budget, next to nothing in fact. We’re going to start looking to generate some revenue through advertising and sponsorship, and there’s been a very positive response to our limited edition merchandise. If there’s demand for more then this could be a really exciting area. We feel the IBG style lends itself to some very creative merchandising possibilities and already have some cool ideas for the future. We’re also thinking of organising an annual tournament or two. IBG’s first foray into merchandise is the IBG hat. They carry the IBG ‘plaster’ golf ball and the www.ibleedgolf.com domain on the back. What sort of contacts are you making within the business?